This section encompasses ALL fan games that we have no description or other information for. As we fill in the details, they will move to their appropriate category. If any denizen has info for ANY of the games below. Please let a site editor know. When receiving an invitation from Scarlet Devil Mansion, Toyosatomimi no Miko is confronted by a labyrinth and a maze created by Remilia. Now she tries to escape from the Mistress's traps. The player must overcome unlimited enemy spawning, 50 challenging level designs and difficult puzzles. Miko can manipulate, create, and destroy certain blocks, however, her fragility and limited ways to dispatch enemies make the game more difficult. 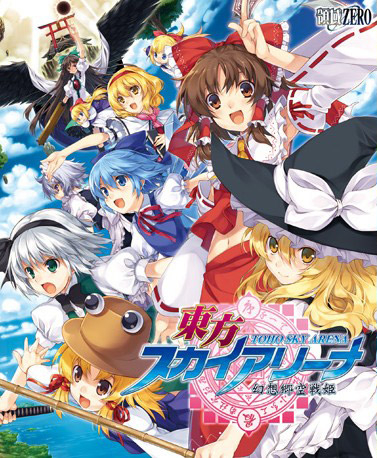 The game is the second entry in the Gyakuten Touhou series. 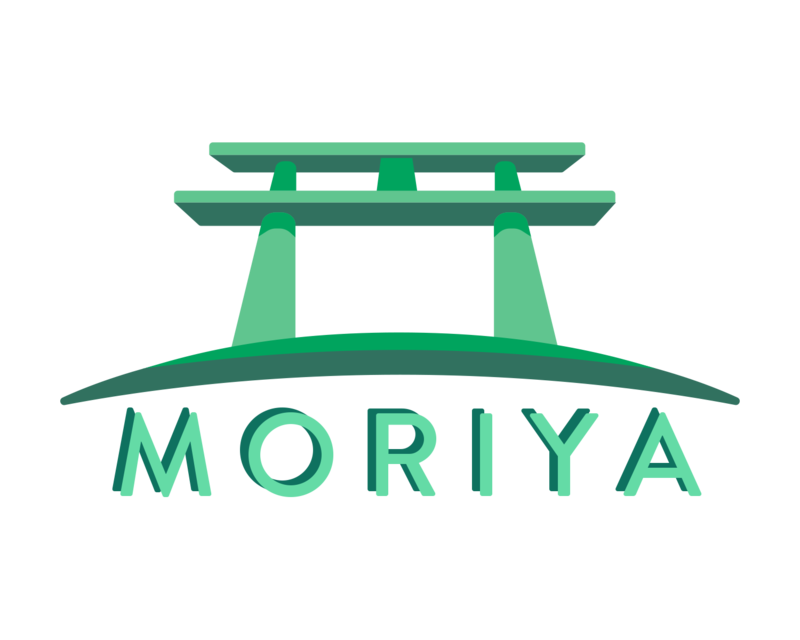 The game follows Aya Shameimaru as a defense attorney who investigates four cases. The gameplay is mostly the same as in the previous game, divided into two types of phases: investigations, where Aya searches the crime scene for evidence and talks to witnesses, and rebuttals to learn new information. During the courtroom sections, Aya defends their client and cross-examines the witnesses's testimonies using the evidence found during the investigations. Seiren no Shou is a standalone expansion and as the name suggests, the developer added characters from the twelfth official game of the Touhou Project The main gameplay remains the same, Gensoukyou Taisen is a real time strategy based on the popular western games such as Warcraft, Age of Empires, etc. Set on a map of varying size the player must defend against other players, train units to explore the map and attack computer controlled foes. Several complicated factors such as gain resources and establish settlements has been removed. Player will create a team with two pair of characters, enter the battlefield and attack enemies within range. Each character has various features and different combinations can give different effects, attacks and attributes. Another peaceful day in Gensokyo, but suddenly all mushrooms turned into carnivorous plants. Not taking any chances, Marisa, Reimu and Alice must protect Gensokyo from an invasion of monsters. The player takes the role of Marisa Kirisame to single handily battle hordes of giant mushrooms and monsters that have invaded Gensokyo. Despite being a magician, Marisa can't actually use magic in the game and only uses her broom as weapon. Between each stage players can purchase new skills, items and weapons by picking coins droppped by defeated enemies. There are several maps with various challenges and difficulties, encouraging players to repeat the missions. 閃光映夜祭 ～ Project Nite Festival is a Flash shmup that parodies two well known Touhou games, Imperishable Night and Mountain of Faith. The game should be noted for being easier than the games it is based off of, yet still having the same controls, and, in the later levels, the same music. Stages includes 6 normal play stages, an extra stage and a hidden phantasm stage. One can also notice that the main characters that you use are named after various Animation Groups, like Clairvoyance, and, in the Extra Stage, Locker Room Productions. Machines that run by the energy source device called "RedStorm" discovered by Erich are going on a rampage across Earth, and it's up to VIVIT-r and Hirano Sakurasaki to stop this. In 2785, full-scale war breaks out on Earth over the various nations' rights to extraplanetary resources. This war ravages the Earth's environment, forcing humanity to flee underground. It also sees the creation of the M.R.S. (Machine manufacture Research and development System), an automated manufacturing and battle system designed to allow wars to take place without actual human participation. Unfortunately, within five years of humanity's flight underground, M.R.S. has completely taken control of the Earth's surface, and the first exploratory group from humanity's underground Shelters is annihilated. Not long after this first exploratory mission, the M.R.S. system discovers the Absolute Dimensional Barrier technology and eventually refines it into the Dimensional Absolute Barrier Shield; it uses its SMD series of warplanes to test and perfect the system. Unfortunately, the prototype unit, SMD-00x, disappears after activating the barrier for the first time, and though M.R.S. is eventually able to establish contact with the dimensional void into which SMD-00x disappeared, it's never actually able to find the ship again. Nevertheless, the system continues developing the SMD series, creating smaller, more capable craft such as the SMD-24-0x "Samidare", which is piloted by a humanoid control unit, C-22, and the final unit, SMD-31-FX "Gesshoku", whose control unit, C-23, possesses an advanced, self-aware AI. Meanwhile, humanity is busy urbanizing its Shelters, developing bipedal robots (armed lightweight walking vehicles, or ALWVs), and preparing to take the fight to M.R.S. Sixty years after the cataclysm that drove humanity underground, it finally emerges to retake the surface. By this time, M.R.S. has developed significant internal defects, and the battle is relatively short. Within two decades, almost all M.R.S.-created automata on the surface have been destroyed. Samidare's main story mode follows the major missions of SMD-24-0x: its testing against the biomechanical construct Sylphid, its encounter with Anareta, the defense system of long-ruined space outpost Tetra-Biblos, and its encounter with the SMD series prototype, SMD-00x. The extra mode follows a flight of the SMD-31-FX several decades later, after SMD-24-0x makes it back to Earth (if you get the good ending). Satori, Sanae, Lithous Medusa Gorgan (whoever the heck that is). Plot Point: Use the touhous to fight for the magic of friendship fighting with the various set up of villains. (10/10 copyright is best boss.) There really is no plot from what I can tell when playing it. It's like megaman but without actual reason. How it works: Well it's like megaman. It's megaman (and by megaman I mean move left and right shoot the badies and jump over holes and such) with touhous except with a ton of bullets and your "lives" is your health. Arrow keys to move, Z button to shoot. Plot Point: Use the touhous to fight for the magic of friendship. Again. There isn't really much to say about this game aside from some of it is hilariously hard and funny. How it wroks: The game plays like megaman 2. Run left and right, shoot enemies and jump. This game requires you to switch your computer's locale to "Simplified Chinese PRC." Other locales will not work, and AppLocale will not make it work, either. The Artifactgaming Link doesn't have the BGM problem the Mega Link has... but it still needs "Simplified Chinese PRC"
Plot Point: The season is summer, but for some reason snow is still falling. Marisa's Detective Agency (Marisa, Alice, Patchouli, Flandre) has been holed up in the Hakurei Shrine, and Reimu wants them to stop freeloading, so she kicks them out and tells them to go find out why it's still snowing. However, before they leave Mokou & Keine show up and request that the Detectives go find Mokou's "fiery core" that has gone missing. Mokou, who can't fight without her core, decides to go with the girls, and leaves Keine at the shrine with Reimu as a "registration fee". How it Works: It plays like a basic role-playing game for the most part. You go around fighting battles (with enemies that are seen on the field), buying equipment & spellcards, and making items at Reimu's shrine through alchemy. Playing as Suwako and Patchouli as a team which can be exchanged at certain points, the player's ultimate objective is reaching the exit by collecting keys scattered in various rooms. Suwako and Patchouli have different abilities and are required by the player to pass certain obstacles and platforms. There are four stages with 500 rooms, shortcuts with hidden rooms, and a boss battle will occur once the player has advanced far enough. The game also features "Another Mode" and "Masochism Mode" with different objectives and higher difficulties. Gensou Bakushin Gatling Fever 1! Gensou Bakushin Gatling Fever 1! is an arena shooting game starring Rumia and Sakuya, where player have to break through the stages in a given period of time. Each character has two kinds of shot; normal and rapid. Stopping player from reaching the exit are hundreds of enemies, each with their own attack patterns. Players are also given the opportunity to choose a maximum of three partners with different abilities to assist in the mission. Plot Point: Marisa has come home with 6 magical mushrooms she intends to make some kind of potion with, but when she pops them in the oven, it explodes, scattering her mushrooms all over the place! She quickly departs to go get them back. How It Works: Like "Super Mario World," you clear stages to advance on the map; also similarly, some stages have alternate exits. You'll also acquire power-ups that allow you to borrow powers from other Gensokyo girls, similar in manner to Super Mario Land 1 & 2. Extra Notes: If you acquire all the red stars in any given world, you're rewarded with access to that world's Extra Stage, which feature somewhat easy-end Kaizo Mario mechanics. A fighting game that got remade and translated to PS4 and Nintendo Switch. koishi summons reisen and starts acting like sans. This is also very difficult so you cant die. instead of dying you have a death count that counts up your deaths. im pretty sure you cant bomb in this. all other controls are the same (i think). also shift + f4 is fullscreen. hope you enjoy.